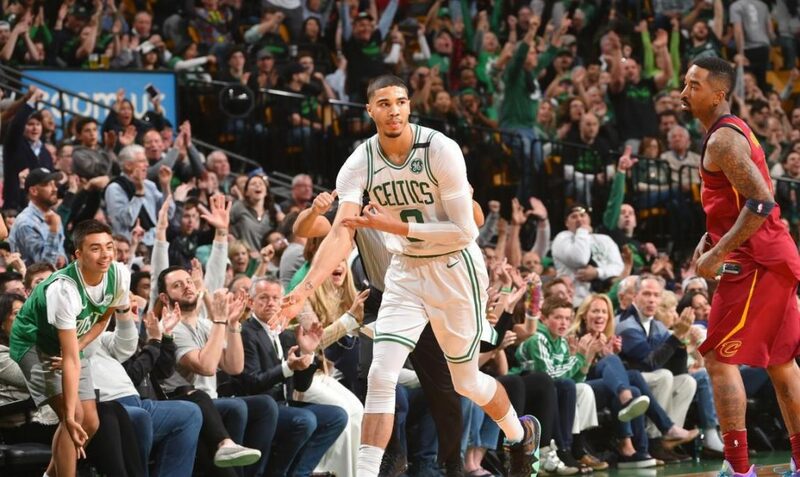 The Boston Celtics had one of their most impressive performances of the postseason in Game 1 of the Eastern Conference Finals as they blew out the Cleveland Cavaliers 108-83. Awful defense on Cleveland’s part allowed Boston to jump out to a quick 29-9 lead with under two minutes to play in the first quarter—20 of the 29 points came from the paint, a narrative that ended up defining the game. 60 of Boston’s final tally were credited to their ability to have utter dominance in the paint, compared to Cleveland’s’ 38. A 26-point lead at the break was cut down to 14 before the start of the closing period, following an inadequate third quarter where the Cavaliers outscored Boston 29-17. Thankfully, a quick 7-0 run put the Celtics back in the driver’s seat and they cruised their way to a 1-0 advantage in the series. Cleveland was ice-cold, shooting at a woeful 15 percent from three-point range, and a 36 percent clip from the field. Both teams cashed in on their free throws, making around 85 percent of their attempts. Boston led in practically every category, including rebounds, assists, steals, and blocks. Prior to the matchup, Celtic forward Marcus Morris displayed his confidence in defending one of the NBA’s best, LeBron James. He backed it up on Sunday, containing the three-time champion to 15 points, nine assists, and seven rebounds. While not abysmal numbers to the naked eye, James shot just 5-16 from the field and went 0-for-5 from three-point range. James also turned the ball over seven times. While Morris certainly did an excellent job, it is vital to note that defending James was a total team effort. Help defense and switches, as well as pressuring the ball and forcing the Cavaliers into tough shots was great across the board. Morris ended up with a double-double, contributing 21 points and 10 rebounds. He was red-hot from deep, going 3-for-4. 21-year-old Jaylen Brown led all scorers with 23, doing so on 9-of-16 shooting. Veteran leader Al Horford dominated the game, shooting 80 percent from the field. His only two misses from behind the arc and Horford ended the afternoon with six assists to compliment 20 points. This win allowed the Celtics to improve to 8-0 at the TD Garden this postseason. They will try to remain undefeated on Tuesday, May 15, for Game 2 at 8:30 p.m.